Pello, a small town on the banks of the Tornio River, is one of the leading salmon fishing destinations in northern Scandinavia. It’s located 20km north of the Arctic Circle in the westernmost part of Finnish Lapland. Sweden lies on the other side of the Tornio River. Salmon fishing season starts on June 1st 2018 in Pello. Emilie Björkman (SWE) and Sanna Koljonen (FIN) are two admirable ladies who share a great passion for fly fishing. In summer 2017, they spent several days under Lapland’s magical midnight sun chasing Baltic salmon. 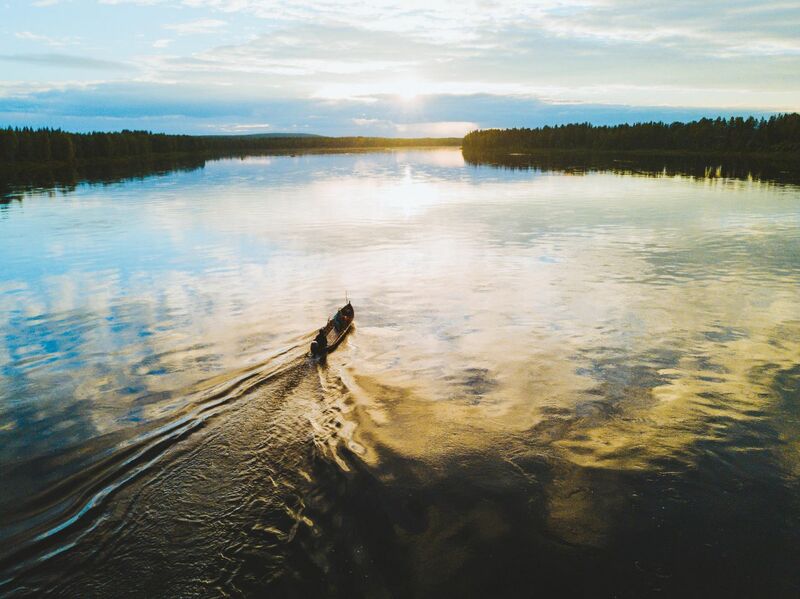 Pello – the fishing capital of Finland and the Tornio River offered many unforgettable memories for these adventurous women. 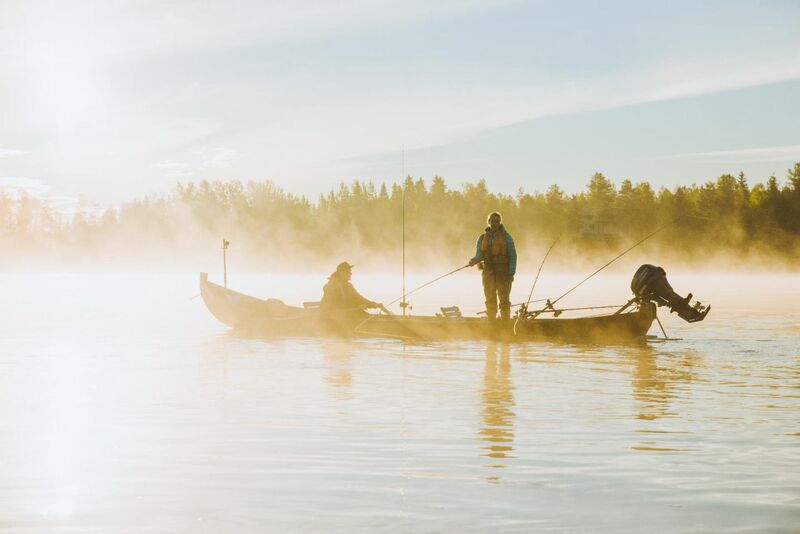 In the Tornio River salmon are fished from rowboats and by casting from the riverbanks, and it’s becoming more and more famous among fly fishers too. The salmon fishing season starts in the beginning of June and continues until the end of the August. 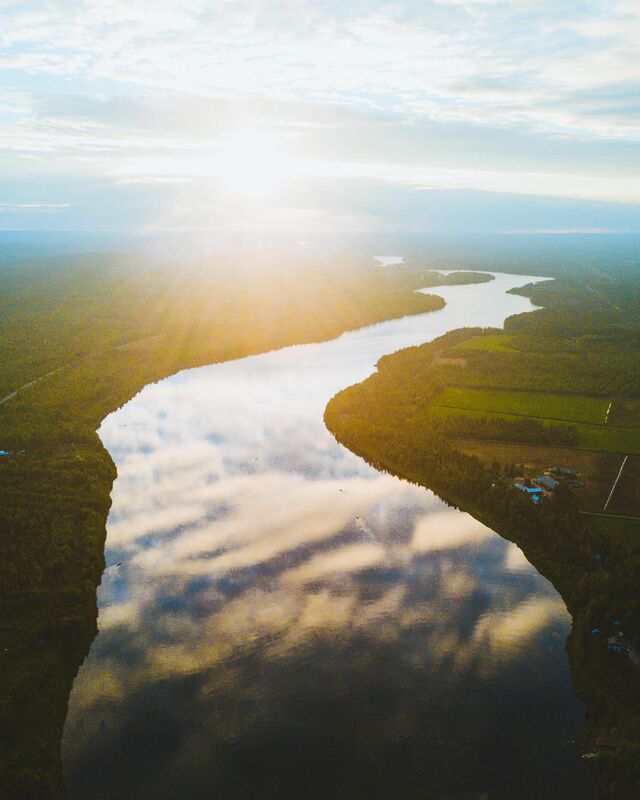 During summer 2016, around 100 000 salmon migrated up to Pello, and over half of those who purchased a fishing license were rewarded with a salmon. Fishing has been a lifestyle and a passion for Emilie her whole life. As a child, she went fishing with her parents, and when she was 6 years old, she took part in her first ice-fishing competition. Now fishing is also a profession for Emilie. At the age of 23, she went to the Sportfishing Academy in southern Sweden. Most of the other students were boys, but that didn’t stop Emilie. After graduating, she started her own business. She teaches fly fishing, writes articles for fishing magazines and arranges courses for fly tying and casting. According to Emilie, you can always learn something new about fly fishing. That and being out in nature are the top reasons why Emilie loves fly fishing. And she’s not the only one. More and more women are taking up fly fishing. When she was 16, she took her first fly fishing course, and she was the only girl there. Now she sometimes arranges courses exclusively for girls. Sanna started fishing when she was only a child. Her first fishing memories are when her grandfather used to take her and her twin sister fishing at their summer cottage. Sanna was introduced to fly fishing in 2003 at age 14. Her mother is a fish geneticist, and that’s one reason why Sanna spent so much time outdoors and in fishing camps as a child. Fishing is a lot more for Sanna than only catching a fish. She is a fishing lawyer. She graduated recently from law school, and she wrote her master’s thesis on the sustainable use of fishery stocks in Finland. At the moment, she works as a researcher for Tana River salmon conservation. For Sanna, fishing is very much about being outdoors, enjoying nature, meeting people who share the same passion and discovering those places you never would if you were not fishing. 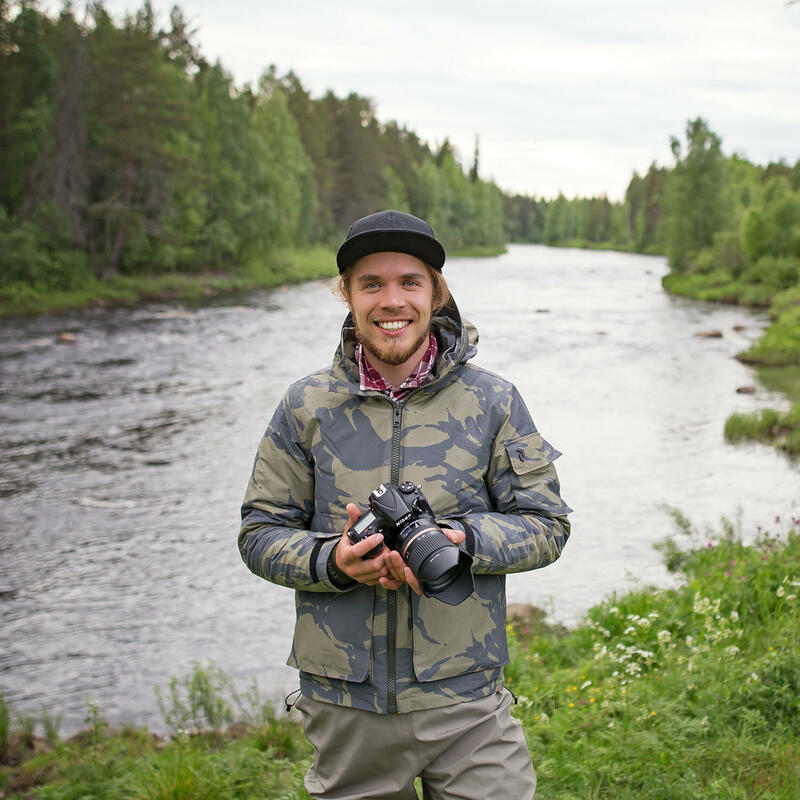 Joonas, the man behind the Pello fly fishing video, describes himself as a positive outdoorsman who loves cabin life and trekking. Despite his young age, he has a long history in digital marketing, photography and filmmaking. Like many Finns, Joonas has also been fishing since he was a child. Fly fishing, though, he started this year. 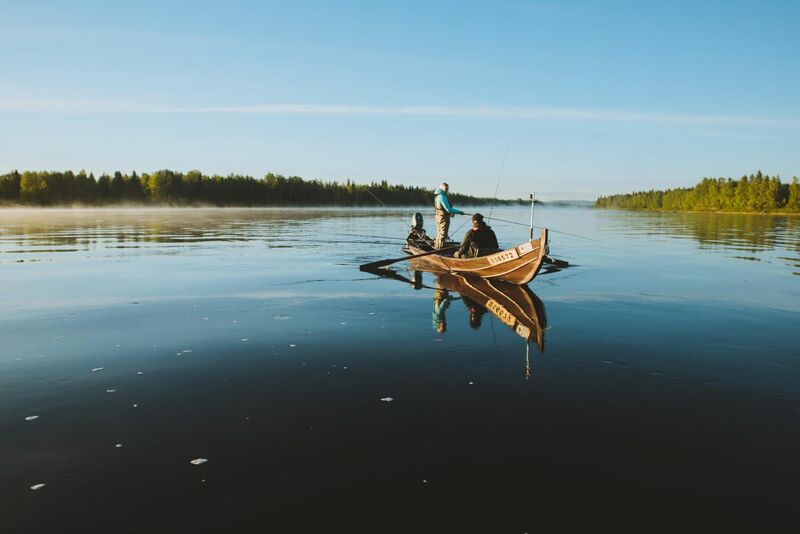 Joonas describes salmon fishing in the Tornio River as challenging but rewarding. Fishing tips from the locals are worth their weight in gold. Filming salmon fishing took lots of patience, and most of the filming happened during the nightless nights when the salmon were more active.